I’m a writer and the author of A Single Step, Before the Dawn and Thicker than Water, the novels that make up The Grayson Trilogy. I have also released a short story about a much loved favourite from the series which is called The Joker. 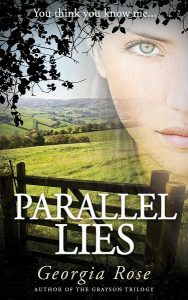 After the trilogy it was time for something new, something different… so my latest novel, Parallel Lies, is now available! Exciting, huh! A product of rural England the countryside setting is the theme running through my books. I love strong characters and developing them brings me joy. My characters are not just human though and, with a passion for animals, horses had to feature, along with a cat and one very special dog, although not necessarily all at the same time! 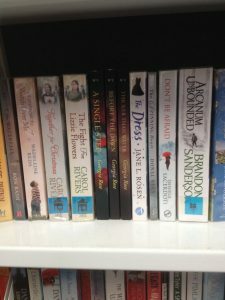 Also, if you do live in Cambridgeshire, and use the library, my books are available to read for free from there, and if they are not in your branch you can order them in from another. Here they are on the shelves of my fabulous mobile library! Parallel Lies is now available as an audio book and you can read all about that (and maybe even get your hands on a Giveaway Code!) right here! A woman with a hidden past. A new love on the horizon. Will the truth set her free or cost her everything? Parallel Lies is the first book in a fast-paced romantic suspense series. If you like troubled heroines, character-driven action, and powerful emotions, then you’ll love Georgia Rose’s thrilling novel. Buy Parallel Lies to unlock a secret identity today! 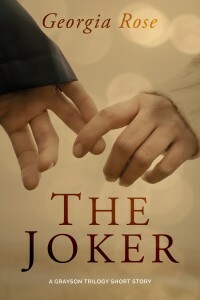 The Joker, a short story about a character from the Grayson Trilogy is now permanently free everywhere! Meet Emma Grayson, my heroine of the Grayson Trilogy, in A Single Step, the first book in the series. 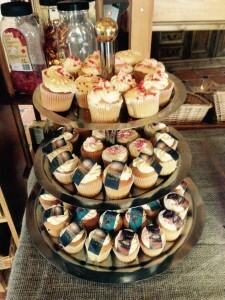 Also, how fabulous are these as a marketing idea! 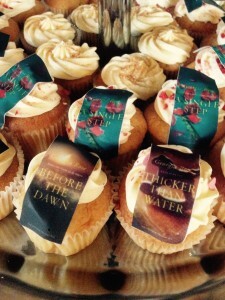 If you fancy some to promote your own book click on either of the photos and you’ll be transported to the delights of Cake Topper Designs! One of my highlights of 2014 was being asked to take part in the Brilliant Books Project at Seely School in Nottingham. The purpose of this project is to encourage reluctant readers with the aim of inspiring them to choose a book to take home to read. If you want to see how I got on and possibly view an embarrassing video of me (if you really have to!) then click on the link and enjoy! I had a terrific afternoon at Nottingham Free School earlier this year and you can read all about it on the official blog post right here! So, onto the books! They have been described as mysterious and romantic adventure stories, which sounds good to me and you have your first chance to meet my heroine, Emma Grayson, in A Single Step. A woman wracked with grief. A man with a troubled past. Will trust build a bridge between them or will it be destroyed by dark secrets? When Emma is thrown from her horse and badly injured, Trent provides tender, selfless care. She doesn’t want to appear ungrateful for the lonely ex-RAF man’s support, but her anxiety keeps her silent. After his secretive past surfaces and events take a dramatic turn at the estate, she can’t help but feel violently unsaddled all over again. Will Emma ever find inner peace and love again, or is she destined to live with only heartache and pain? A Single Step is the first book in the Grayson Trilogy, a dark romantic suspense series. If you like wounded characters, slow-building romance, and page-turning twists, then you’ll love Georgia Rose’s powerful novel. Buy A Single Step to uncover a heartbreaking English tale today! This is the new cover, beautifully designed by SilverWood Books . All my books are available as paperbacks from this site as well as from Amazon (sorry I can’t do digital copies due to the new VAT rules) – just click on the BUY THE BOOKS button at the top of this page. If you are kind enough to download (or buy the paperback) and read my book, thank you, it is much appreciated and I hope you enjoy it. If you are able to leave a review, of whatever rating, that would be wonderful and thank you, it really does matter! So next up is the second book in The Grayson Trilogy – it is packed full of romantic suspense (with the accent on the suspense!) and is the stunning Before the Dawn! A woman recovering from tragedy. A love blossoming under pressure. Will an English estate’s powerful secret spoil her beautiful future? Shocked by the Manor’s powerful and shadowy connections, Emma fears the clandestine activities will put her quiet job and her new romance at risk. But after the estate comes under attack from Russian gangsters, she must put aside her doubts to save lives with or without Trent’s help. Can Emma find the inner strength to protect the ones she loves, or will Trent’s dangerous assignments take their love away under a hail of gunfire? 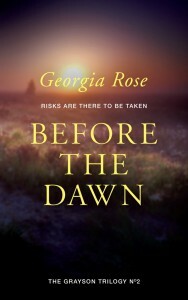 Before the Dawn is the second book in the Grayson Trilogy dark romantic suspense series. 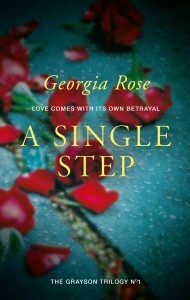 If you like plucky heroines, romance under pressure, and breath taking twists and turns, then you’ll love Georgia Rose’s gripping novel. 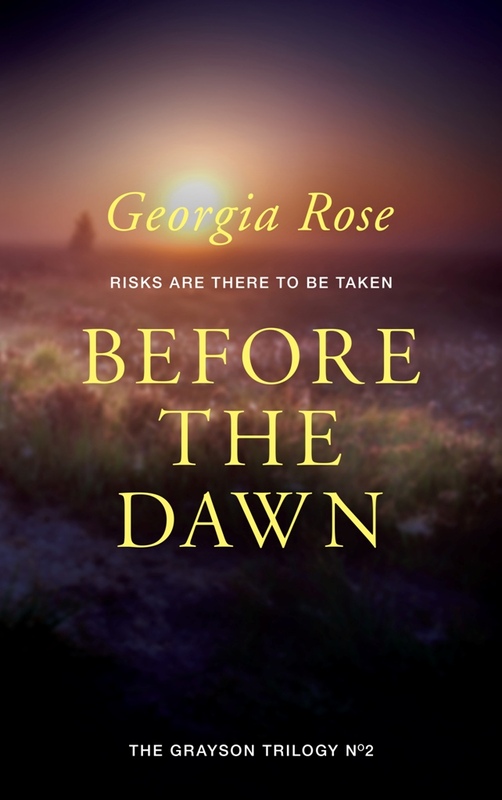 Buy Before the Dawn to spy on a budding love today! A woman beginning a new life. An assassin with a highly personal target. Will her unpleasant past lead to a fatal conclusion? Emma Grayson is loving married life at Melton Estate. Even though the manor’s secret relationship with MI5 prevents the quiet day-to-day routine she’d prefer, she wouldn’t trade what she has with Trent for the world. But when a joyful surprise collides with a staggering discovery, old wounds threaten to rip her happy existence apart. As she tries to cope with her new reality, British intelligence agents deliver frightening news: someone is out to kill her. Can Emma use her newfound strength to defeat a determined assassin, or will her tragic past stamp out her bright future? 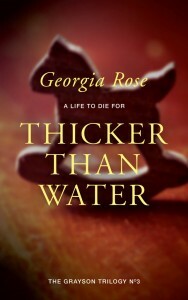 Thicker than Water is the thrilling conclusion to the Grayson Trilogy romantic suspense series. If you like engaging characters, dark twists, and heroic finales, you’ll love Georgia Rose’s captivating climax. Buy Thicker than Water to uncover a mysterious threat today! If you fancy keeping up to date with any posts please click on the ‘Follow’ button on this page, or fill in your email address in the appropriate place on the right sidebar and you will receive my posts. Or, alternatively you can totally make my day by signing up to my newsletter – see sidebar for details. Those very special people that do are the first to hear any news on my books, any offers, new releases or freebies – you name it, you will hear it first via my newsletter. If you do read any of my books and have any feedback, thoughts or observations (good or bad it all helps!) please let me know via the contact page on this website or direct on info@georgiarosebooks.com if you prefer – I’d be very interested to hear from you. The book was dedicated to “all those august and intrepid readers who ignore the supermarket shelves full of humdrum thrillers, tepid romances and laughable eroticas – the modern day ‘penny dreadfuls’ – and have the bravery and imagination to buy independently written, published and distributed books. In accordance with the General Data Protection Regulations my Privacy Notice is here.